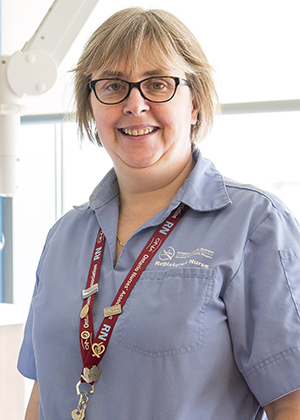 With over 25 years of nursing experience, Tammy currently works with the Niagara Health System. In keeping on par with demands in cancer care that the community has faced, the Niagara Health System has expanded towards a fuller spectrum of cancer care services with the opening of the Walker Family Cancer Centre in March of 2013. Tammy’s dedication to lifelong learning is reflected in her practice, values and care for her patients.